Craving a mouthwatering home cooked meal like Mom used to make? If you live in Southern California, you’re in luck, as you can find some tasty Mom and Pop restaurants right here in our neck of the woods that serve up delicious comfort food we all know and love. Whether it’s fried chicken, mashed potatoes, or a hearty serving of spaghetti and meatballs, your tastebuds and tummy will be satisfied at these cozy restaurants in Southern California that will make you feel right at home. This unexpected gem in Riverside has been family-owned since 1965. 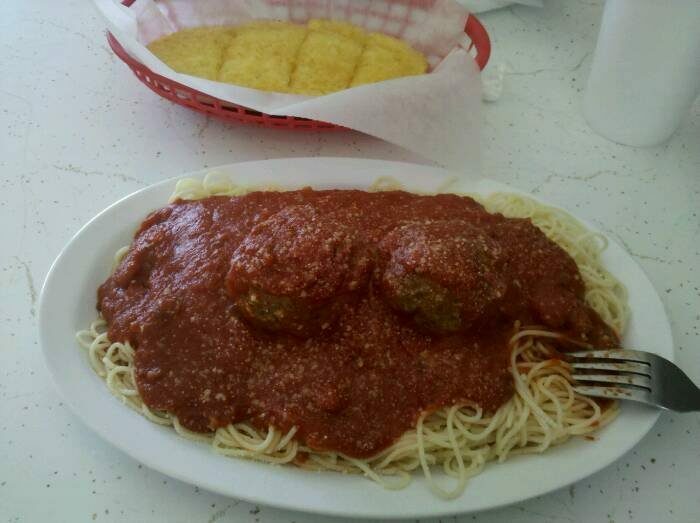 Make sure to order the meatballs when you dine here, as it's a mouthwatering family recipe that you can only find at Antone's. You can view the other Southern California Favorites Here. Thank you to the Press-Enterprise for the great story. Link to the orginal story. Rosanne Verani and husband, Kurt Brungardt, right, owners of Antone's Italian Restaurant in Riverside, with son, Casey Brungardt, 20, outside their popular eatery that celebrates its 50th anniversary this year. Published: March 17, 2015 Updated: March 18, 2015 8:12 p.m. Right up until her recent death at 90, Josephine Scarano wouldn’t touch the meatballs at any Riverside restaurant except one: Antone’s. 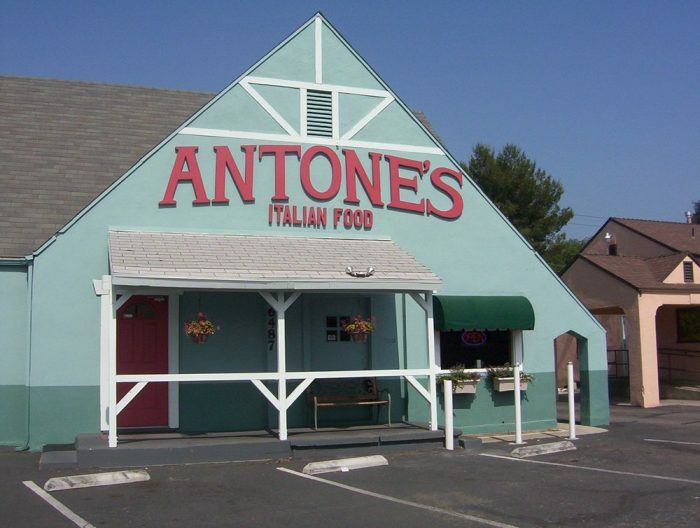 Antone’s Italian Food is testament to the family-owned, beloved bistro that’s been a fixture since the late Anthony “Tony” and Mary Verani opened it in 1965. Their daughter, Rosanne Verani and her husband, Kurt Brungardt, who took over seven years ago, are planning a 50th anniversary celebration next month. Longtime customers say that nostalgia, the homey vibe and the good odds of bumping into the “old Riverside” habitués are as much draws as the homemade bread, from-scratch sauces and the famed meatball sub and the Italian coldcut and cheese grinder known as the Mafia. Here is the Burrous's Bites video!